Today's post introduces a whole new category in Sprinkle Bakes' recipe index - Savory Bakes! Now, I don't want anyone worrying that I've fallen off the sugar wagon - quite the opposite! My main focus is still very much on all things sweet, but ever since I posted my trusty unsweet southern cornbread recipe, I've felt encouraged to share more of my of my favorite savory recipes. You can still expect to see mostly dessert recipes tempered with a few new savory bakes limited to breads and pastry (my specialty!). 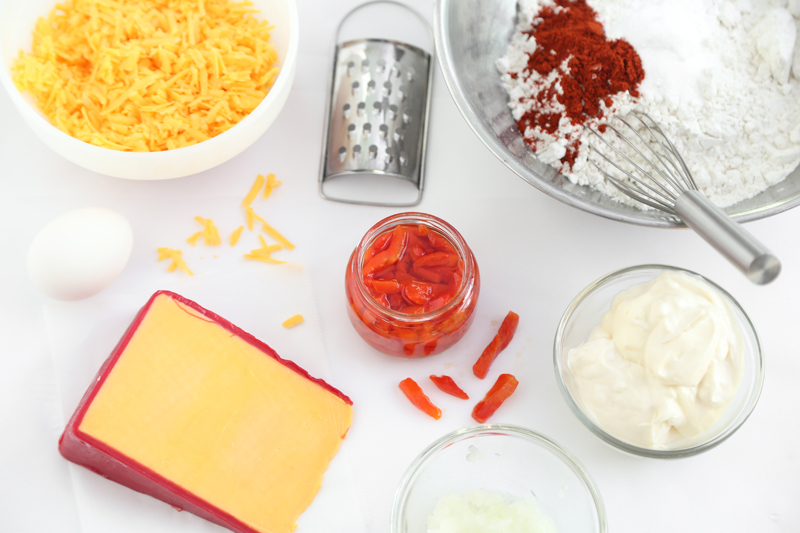 Pimiento cheese has long been a staple on southern tables and I grew up eating it. I think it's best spread on piece of toast for a simple, quick lunch. You could say that this recipe is my way of combining the two. 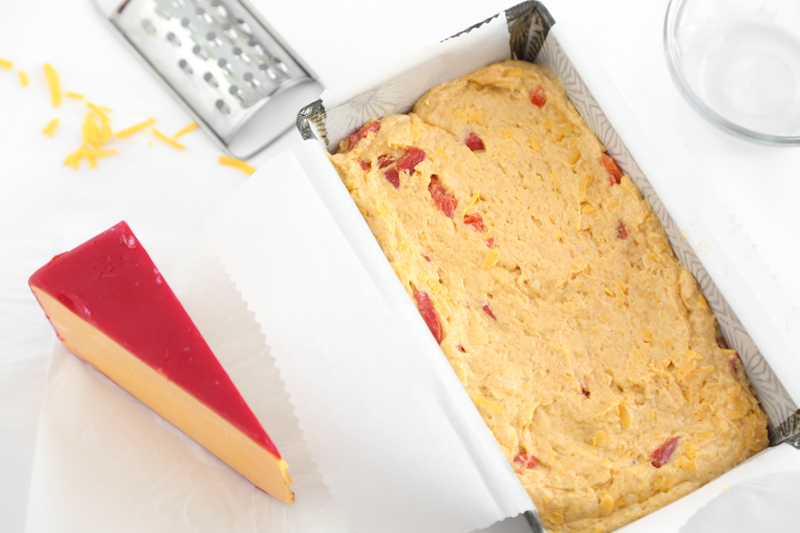 I suggest using high quality extra-sharp block cheddar. This will ensure the bread keeps a tender crumb. It's a little more work shredding your own cheese, but large box grater will make short work of the task and you'll end up with better bread. Speaking of short work, I had a slice of this bread each day for lunch until it was gone. It's best served warm with a simple pat of butter. 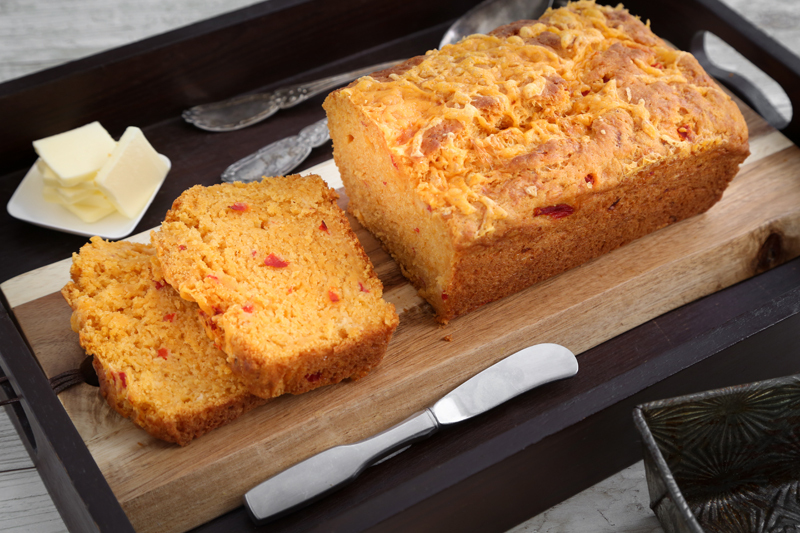 Pimiento Cheese Quick Bread on Go Bold with Butter! It looks delicious and so moist! A wonderful recipe. This looks utterly divine. I have never made a quick bread using mayonnaise so I'm very anxious to try it. I happen to have some buttermilk in the fridge too, just waiting to get used up. Think I'll prepare this recipe tonight! What a fun idea! 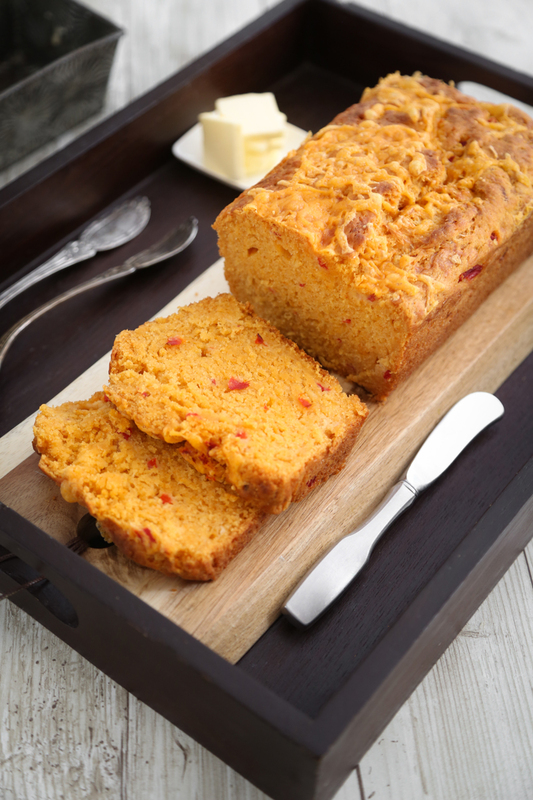 I've never tried quick bread with pimento in it!